EUR/USD is in a broad consolidation, after bottoming at 1.2331 (Oct.28,2008). 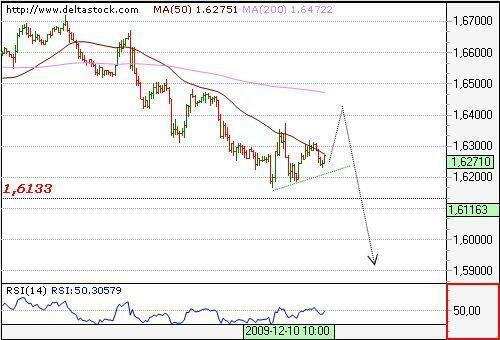 Technical indicators are neutral, and trading is situated between the 50- and 200-Day SMA, currently projected at 1.4793 and 1.3523. 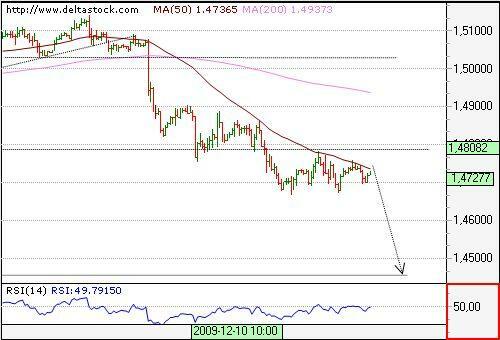 With the recent break below 1.4607 the downtrend has been renewed towards 1.4450 support zone and the intraday bias is negative with a resistance at 1.4607. Crucial on the upside already is 1.4660. Current rebound from 88.30 is a part of the consolidation pattern above 87.35 and although current intraday bias is positive for 89.54, a reversal can be expected, for a break below 88.30 support area. 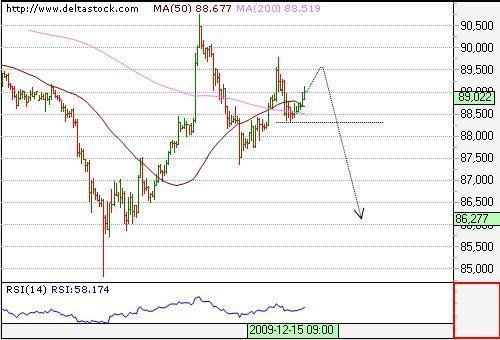 Initial intraday support comes at 88.80. Yesterday's upswing failed to test precisely the 1.6350-70 resistance area and peaked at 1.6321. The overall bias here is still neutral and the pair is caught in the 1.6130-6370 range, but we continue to think, that a renewal of the downtrend lies ahead and a break below 1.6180 will confirm, that the focus is set at 1.59+.